Generate reports to calculate diversion rates, measure tonnage by program, and analyze the economic benefits of recycling. Turn insights into action by generating the program recommendations report. Discover new ways to improve program performance. Standardized data collection ensures that you can reliably compare your performance metrics to national averages. Manage all your municipal waste and recycling program information in one place. Easily compare year-over-year performance. Participation is Easy & Free! Join the MMP today to measure your municipality's program performance and improve your programs. The MMP is available to all municipalities in the U.S. and Canada. 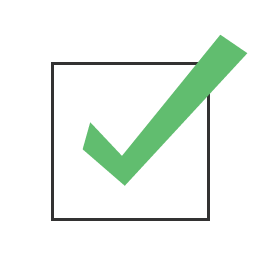 By completing the program assessment surveys, municipalities unlock a suite of sophisticated program performance, benchmarking, and recommendation reports. 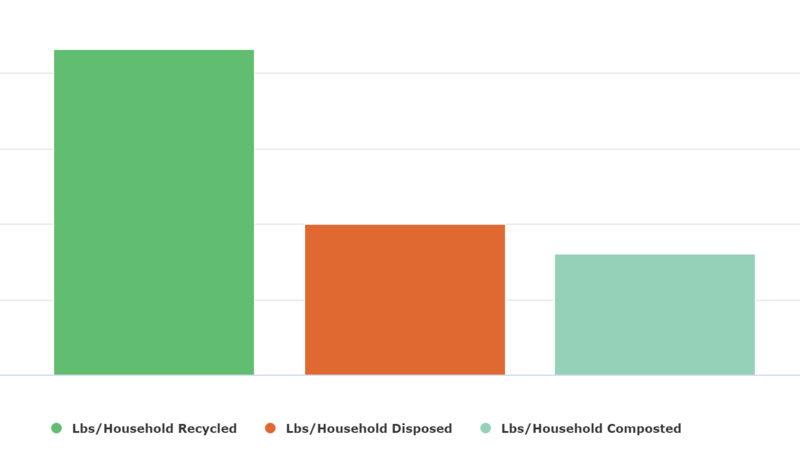 Measure the total tons of recycling, MSW, and organics captured by your residential programs. 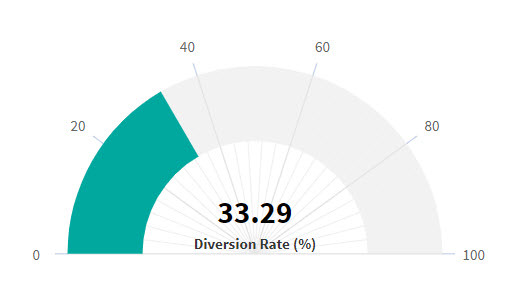 Calculate your curbside diversion rate including the total tons of material diverted and disposed in your municipality. Analyze your municipality’s per household waste, recycling, and organics generation and capture rates. 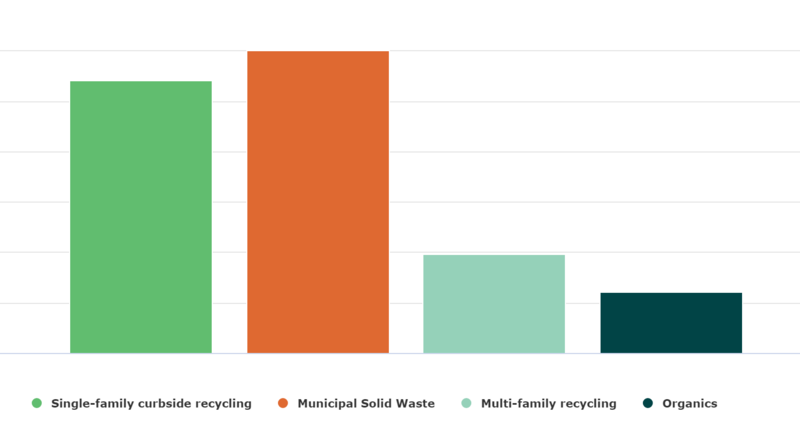 Compare your municipality’s per household recycling performance to the national average. Measure your drop-off program's diversion rate including the total tons of material diverted and disposed. Calculate the economic impact of your recycling programs by converting tonnage information into insights about estimated job creation, attributable wages, and tax revenue. Discover opportunities to grow your programs by learning about industry-developed tools and resources. The MMP is delivered by The Recycling Partnership and Re-TRAC Connect to provide municipalities with a robust and accessible materials management program analysis and planning tool. It was also designed, with industry assistance, to standardize terminology and harmonize methodologies in support of consistent measurement across the U.S. and Canada. The Recycling Partnership is a national non-profit working to transform recycling for good. Re-TRAC Connect is web-based software designed to help organizations efficiently collect and analyze materials management information. The MMP is now available to all municipalities in the U.S. and Canada. Apply today to gain access to powerful program performance, benchmarking, and recommendations reports. The MMP is an acronym that stands for Municipal Measurement Program. It's a free Program Assessment and Planning Tool that delivers insights and actionable recommendations to municipal waste management agencies. Why should a municipality participate in the MMP? The MMP provides municipalities with program performance reports, benchmarking, and program recommendations. Participating in the MMP is also a great way to centralize municipal waste & recycling data for easy comparison each year. Why do I have to apply to participate in the MMP? The application process ensures that all applicants meet the eligibility requirements before participating. It protects the integrity of the MMP and results in greater overall data quality. Who can join the MMP? The program is available to municipalities in the U.S. and Canada. The MMP team will work towards accommodating county and regional government agency participation for the 2020 reporting year. Can tribal communities participate in the program? Yes. Native American Tribal Governments are eligible to join. I’m a county or regional government agency; can I participate in the MMP? We recognize that county and regional agencies also have a role in delivering municipal waste management services and that's why the MMP team will work towards accommodating county and regional government participation for the 2020 reporting year. In the interim, counties and regional government agencies are encouraged to apply to join the MMP so we have the contact information we need to reach out once a solution becomes available. Until then, you can support the program by encouraging the municipalities in your jurisdiction to join the MMP. If you’re interested in gaining access to information about municipal programs in your jurisdiction, please visit https://www.re-trac.com/local-government-reporting/. I’m a state or provincial agency; can I participate in the MMP? The MMP is designed specifically for municipal waste management agencies so all the data collected via the program assessment surveys is at the municipal level. As a state or provincial agency, you can participate by encouraging the municipalities in your jurisdiction to join the MMP. If you’re interested in gaining access to information about municipal programs in your jurisdiction, please visit https://www.re-trac.com/local-government-reporting/. I don’t have very much data about the waste and recycling programs in my municipality; can I still participate? 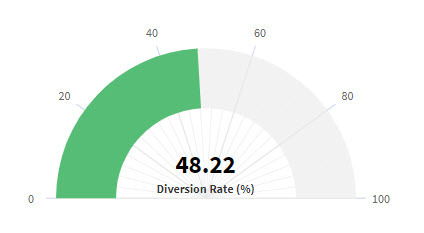 If you don't have access to diversion data (e.g. tonnage that has been recycled) there are a few options to obtain it. The first option would be to consult with your hauler(s) and request this information from them on a predetermined frequency (e.g. monthly, quarterly, annually). Alternatively, if your municipality owns the landfill, material recovery facility, or transfer station in your jurisdiction, you may be able to get access to the data from the end destination. It is important to be careful not to "double-count" weights, so if you are able to get data from both the haulers and the end destinations, you'll want to compare the data sets for accuracy, not combine them. For municipalities that don't have an established data collection system, the MMP's Program Recommendations Report will introduce them to helpful tools & resources developed by The Recycling Partnership. It supports a national effort to consistently measure the performance of municipal waste and recycling programs. Your data will be used to develop new tools and resources to help municipalities boost waste and recycling program performance. It will also contribute to the development of benchmarks for municipal performance metrics. Finally, MMP data will be made available to organizations that purchase access to MMP reports. Who else has access to the data I report to the MMP? The Recycling Partnership and its agents will be responsible for verifying MMP data so each of its program managers will have access to the data. Re-TRAC Connect administrators maintain the program and provide technical support so all admins can access your data as necessary. One of the benefits of hosting the MMP in Re-TRAC Connect is that municipalities can use their existing accounts to access the MMP. However, to ensure you are the correct point of contact for your municipal agency, we kindly ask that all municipalities begin by applying to join the MMP. Once your application is approved, the MMP team will ensure the MMP is added to your existing Re-TRAC Connect account. I report to other programs in Re-TRAC; how does the MMP relate to that? MMP data will not be shared with other programs. While many states deliver reporting programs via Re-TRAC, the surveys for those programs are likely designed to capture data required by state legislation or local ordinances. The MMP endeavors to create a survey that captures data that is common to all municipalities, regardless of size or location. 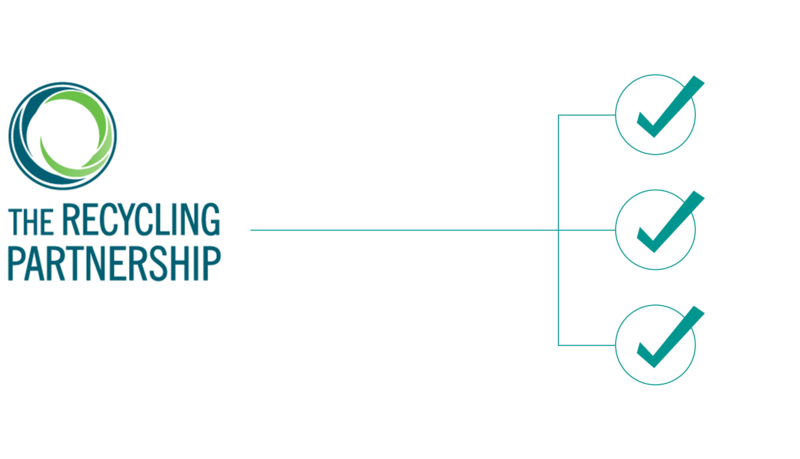 How is the Municipal Measurement Program (MMP) connected to the State Measurement Program (SMP)? Both the MMP and SMP are programs in Re-TRAC Connect but they are not directly linked. Municipal responses to several questions in the MMP can be aggregated at the state level and used by state agencies to complete the SMP. Is all my data included in the reports? Only data that has been marked complete or verified will be included in reports. What does "verified" data mean? All MMP data will be reviewed by The Recycling Partnership and its agents to ensure it is accurate and complete. Data that has been reviewed and approved by The Recycling Partnership is considered "verified". Can I access municipal data for my county or state/province? Coming soon! If you're interested in accessing MMP data for your county or state/province, please visit https://www.re-trac.com/local-government-reporting/. Is there an import or upload feature? Can I benchmark my performance against the state average? At this time, only the U.S. national average benchmark for residential recycling is available. It’s based on the 2016 State of Curbside Report. State and region-specific benchmarking will be available in a future release of the program. Is the Economic Benefits report based on national data or local? It is based on national data. You can learn more about the report here: EPA REI Report. At present, the MMP only collects 2018 program data. The MMP team plans to introduce trend reports when the 2019 program assessment surveys are released in January 2020. For 2019, our goal is to create a large-scale national database of municipal program information so that in future years, we'll be able to provide participating municipalities with region-specific benchmarking reports. I missed the "Why your municipality should join the MMP" webinar; is there a recording I can watch? Yes, you can access the webinar recording here: https://www.re-trac.com/why-your-municipality-should-join-the-mmp-webinar/.